It appears Turkey just reached its “whatever it takes” moment as Prime Minister Binali Yildirim warned that“speculative attacks on our economy are being made,” and promised “the central bank will do what’s needed, when needed” in fight against inflation. 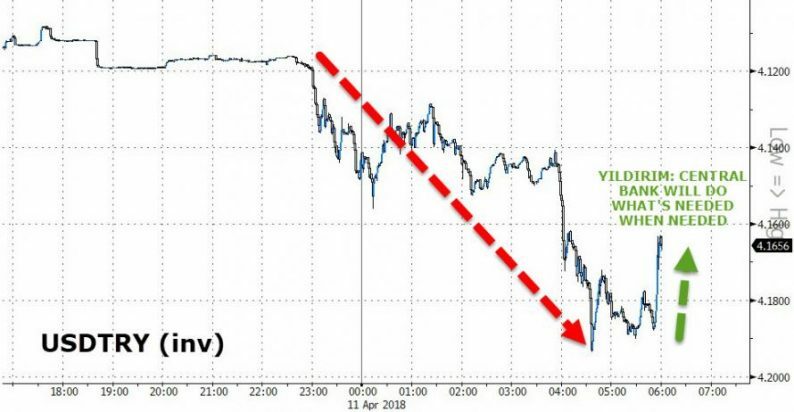 As we detailed earlier, two days ago we noted the rapid acceleration of the demise of Turkey’s currency and bond markets, as Erdogan promised “to rescue investors from high rates” prompting (hyper)inflation concerns and central bank independence anxiety among investors. The Turkish lira extended a slide to fresh record lows as wagers mount the central bank may hesitate to defend the currency with higher interest rates. “Only a few weeks ago my 4.20 target for USD/TRY I’ve had for a few months looked ambitious. I was also a bit worried that I could be too bullish on EUR/TRY expecting 5.12,” he said. Why should the average joe American investor worry about what’s going on in Turkey? As Fasanara Capital’s Francisco Filia explains, the catalyst for a deep repricing in markets can be entirely endogenous, within the space of its dangerous and fragile market structure. 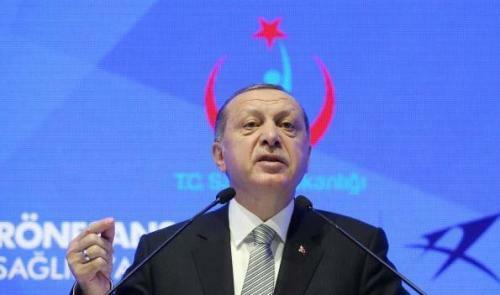 Will Erdogan Save Turkey And Help Gold?